I love almond milk. I haven’t bought dairy milk in years, and nothing beats the flavor of almond milk for me in cereal or smoothies. 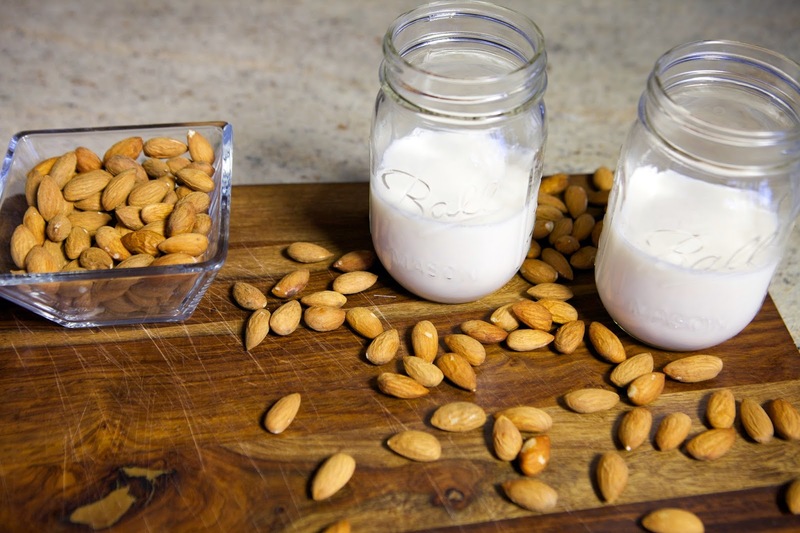 But like all store bought items, some brands will sneak extra ingredients or lots of sugar into products like this – so if you want to avoid that headache all together, you can easily make almond milk right at home. Watch the video below to learn how! 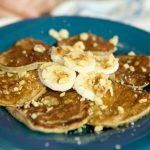 *don’t add honey to make this paleo! 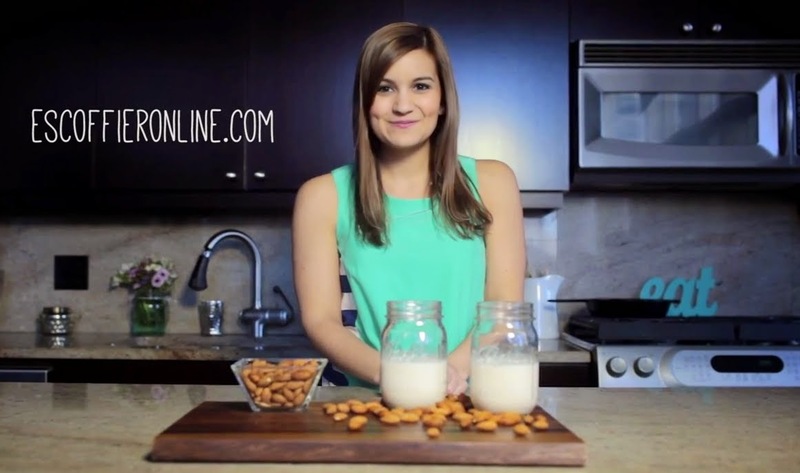 Soak the almonds for at least 8 hours in enough water to cover them an inch, plus the salt. Rinse the almonds thoroughly. 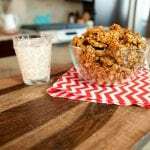 Add the 4 cups of filtered water and almonds to a blender, food processor or Vitamix. Blend for several minutes until the mixture is smooth and creamy. Add honey and vanilla and pulse until the vanilla resembles small black dots. Using a cheesecloth, strain the mixture into a bowl or pitcher. 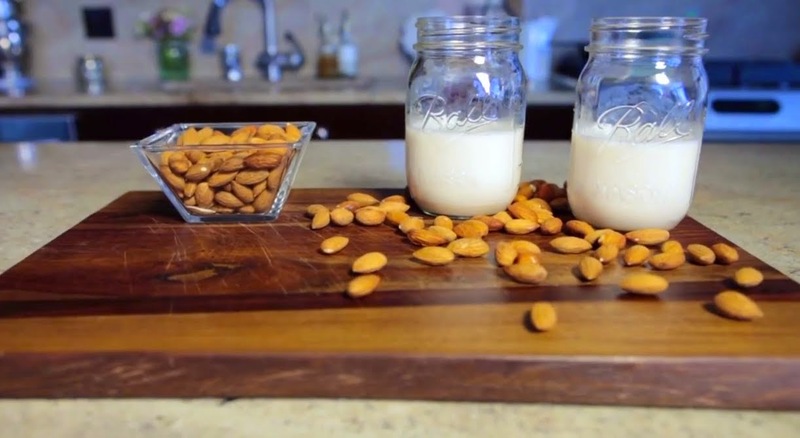 Gently squeeze and work the milk out of the almond pulp slowly. Once it all has been removed, keep the milk in an airtight container for up to one week in the refrigerator. PS. I am wearing this dress – currently on sale!